Niphaea species are small herbs of damp, shady places in its range of southern Mexico and Guatemala. The leaves are often substantial and may be lightly patterned purple. 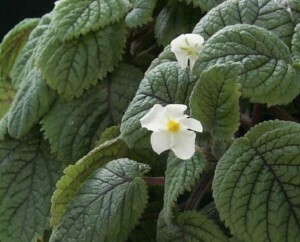 Flowers are relatively shallow and broad, usually white. Niphaea is similar in some respects to Phinaea and Amalophyllon, but its separation from those genera has been supported by recent genetic analysis.